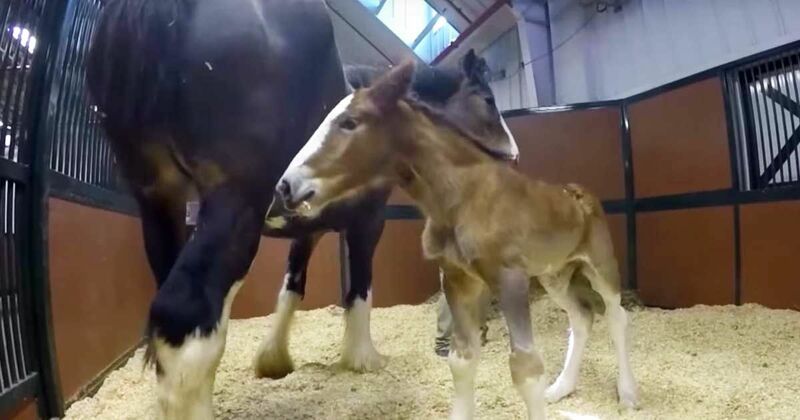 Alex, a wobbly-legged foal is the newest member of the Budweiser Clydesdale family. Born at the Warm Springs Ranch in Booneville, Missouri, this cute little horse is among good company of 70 of the most remarkable Clydesdales in the world. Of course, to truly capture the story, we must first take a stroll down the history of Budweiser. 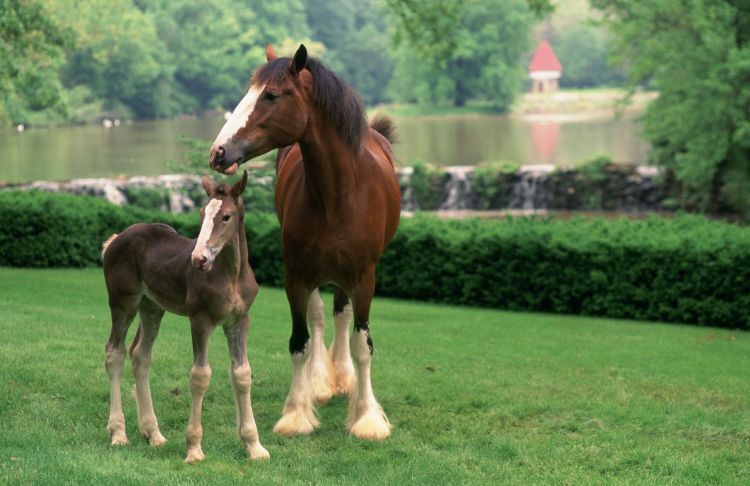 According to Anheuser-Busch, these horses are a key part of their rich history. The story goes that August A. Busch, Jr. and Adolphus Busch III gifted their father, August A. Busch, Sr.with a team of six Clydesdale to celebrate the repeal of Prohibition. They soon realized the marketing potential of the horses and continued to use them at major events around the country. 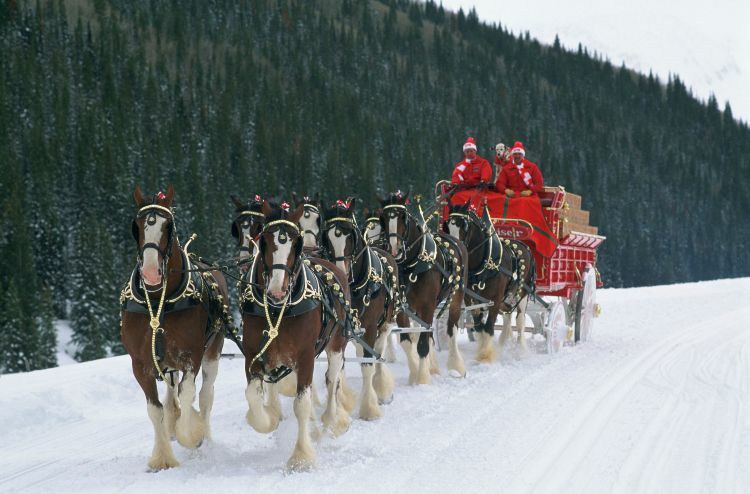 The six Clydesdale team was increased to eight, and continues to tour the country. To be born into the family is simply not enough. There are clear requirements to be apart of one of the traveling hitches. Anheuser-Busch indicates that the horse must be at least four years old, stand at 72 inches tall, weigh between 1,800 and 2,300 pounds and have appropriate colors. Even the names of the horses have a certain criteria to follow. The names must be kept short for ease of handling and training. 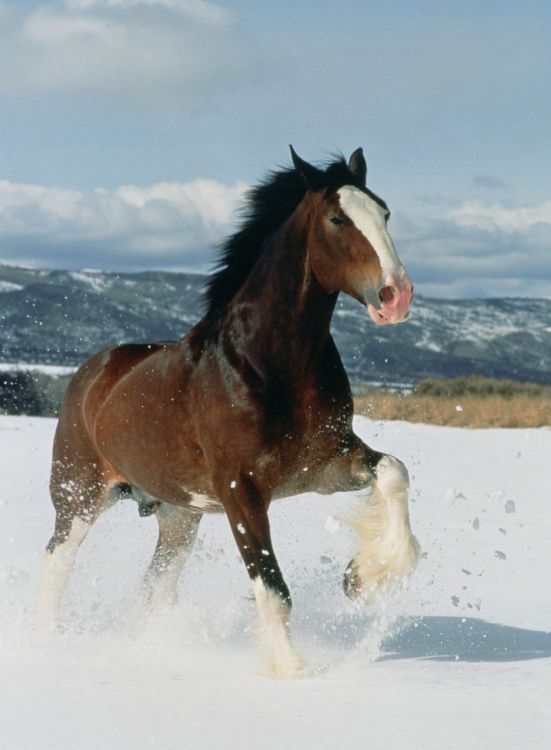 Some of the most popular names for these a Budweiser Clydesdale includes Duke and Bud. Only the best experts are capable of caring for these magnificent horses. A team of handlers travel with them around the country and are even required for round the clock care to ensure the safety and comfort of each and every Clydesdale. John Soto, supervisor of the ranch took a moment to explain to USA Today what exactly they are looking for when it comes to welcoming a new foal to the Budweiser family and becoming part of one of three hitches that travle the country. Soto demonstrates with a handsome Clydesdale named Duke as he explains,"He has the white face, the four white legs, the nice bay color, and the dark main and tail" which are all markings of the perfect Budweiser horse. Alex sure has big shoes to fill! We can't wait to see her on a hitch someday. Don't forget to share this story with your horse-loving friends!